Hen Party in Valencia. 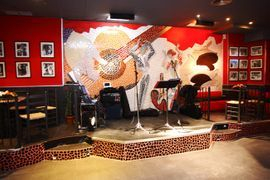 Join a flamenco dance class if you're looking for ideas for a hen party in Valencia! From only €20! We guarantee all participants (even complete beginners) - the bride especially - a fun and memorable time! Our Flamenco hen party is conducted in an authentic setting about 15 mins from the city centre: a flamenco bar with a big dance floor! Valencia is an ideal place for a hen party due to its close proxity and availability of budget airlines to major cities in Europe. 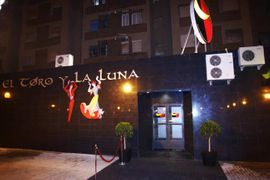 Other incentives to conduct hen parties in Valencia include the safety of this city as well as the lower cost of living. So whether you're from UK, Netherlands, Germany or any other country in Europe, we invite you to try our special Flamenco Hen Party in Valencia! Our flamenco dance instructor for the hen party in Valencia is Patricia. Patricia comes from a distinguished family of flamenco professionals, inheriting her talent from her father and her grandfather. She has a lot of experience organising flamenco classes for groups and individuals. And she has organised a lot of flamenco hen parties in Valencia for groups from France, Germany, Netherlands, UK, USA and Ukraine. Patricia speaks Spanish, French and English. If you speak any other languages (such as Dutch, German, Russian or Ukrainian), she will still be able to communicate with you, somehow! Patricia will ensure you and your group have a memorable experience and especially lots of fun for the flamenco hen party in Valencia! The price quoted above is for a 1.5 hour session and includes a complimentary drink (sangria, beer or soda). 1. We provide flamenco dance classes in Valencia every day, even on the weekend (except Sunday). 3. The earliest booking can only be from 17.00 onwards. 1. We accept payment by Bank Transfer, Credit/Debit Card and Paypal. 2. 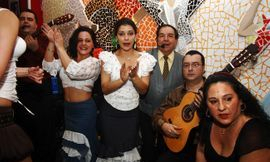 All flamenco classes have to be pre-paid for us to book the venue and the instructor. (a) 50% refund if you cancel 2 days before the event. (b) No refund if cancellation done less than 2 days before the event. (c) We'll deduct any transfer charges incurred when we make the transfer to your account. 1. You fill the booking form to let you know the details. The form is at the Top Right corner of this page. 2. We get back to you within 2-3 working days to let you know if the days/time requested is available. 3. If your preferred day/time is available, we send you our payment details for the transfer. 4. Once we have received your payment, we book the date/time for you and send you a Confirmation email. 5. You can come to our Flamenco Dance Studio on the date/time for the event. Our instructor (Patricia) will be there to welcome you and your group. 1. Do we need to wear anything special for the flamenco hen party? No, it's nto necessary. You can wear your normal clothes. However, we recommend flat heels. 2. Can we do a video recording of the whole event? 3. What is the maximum size that you can accommodate for a group? We have enough space for 40 people. 4. How long in advance can we book a flamenco hen party? As long as you wish. We can only book the venue and the instructor after we receive your payment. 5. Can we pay on the day of the event at the venue? No, you can't. We can only book an event with pre-payment. 6. How experienced is the Flamenco instructor? 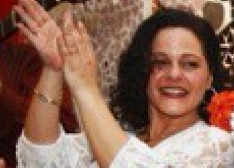 Patricia, our flamenco instructor, comes from a distinguished family of flamenco professionals. She has a lot of experience organising flamenco classes for both groups and individuals. 7. Do you organise flamenco hen parties in other cities in Spain? No, we only organise flamenco hen parties in Valencia at the moment. 8. Can we book a flamenco hen party in the morning? Unfornately, no. We have 2 sessions in a day: 17.00-18.30 (first session) and 18.30-20.00 (second session). 9. Do you provide any refreshments for the event? Yes, we do. 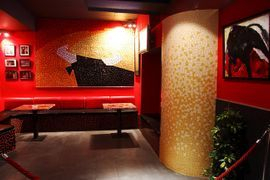 We provide a complimentary drink (sangria, beer or soda). Thank you for contacting us. We have received your enquiry. We will get back to you as soon as possible. We can only book a class after we receive Payment. Just wanted to thank you for organising the flamenco class for us. We really enjoyed it! Patricia is very nice and we had a good laugh the whole evening. Irina Puzakova, Hen Party on 7 May, 2016. A hen party (also called hen night or hen do) is a party held for a woman who is going to get married. The party may take any form that pleases the hostesses and honors the bride-to-be. The participants are usually all women. It is usually held several days or a week before the wedding.